When you travel by airplane anywhere in the country, the safety of every passenger and flight crewmember depends on the work of transportation security screeners. They screen passengers, baggage, and cargo to ensure compliance with federal regulations. Transportation security scanners operate basic security equipment, such as x-ray machines and hand wands, at screening checkpoints. 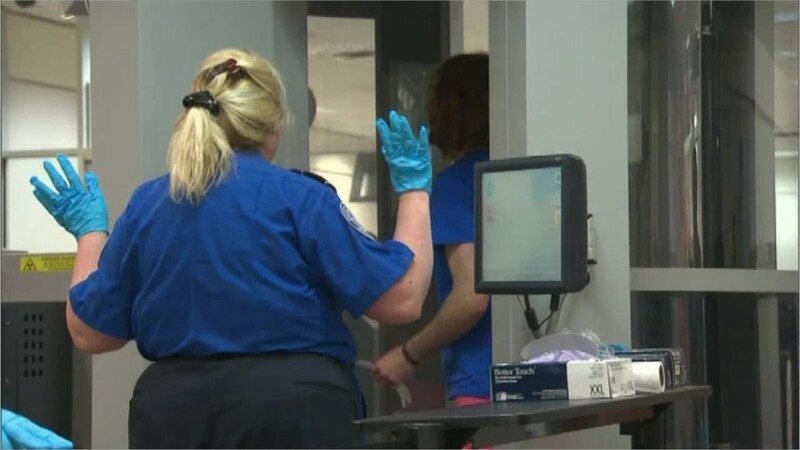 They inspect carry-on items for contraband, and search baggage by hand when they suspect it contains prohibited items. When necessary, these workers must test for explosive materials using detection machines or chemical swab systems, and notify supervisors or other safety personnel when security breaches occur. They also confirm that passengers’ tickets are valid and often deal with large numbers of people, sometimes in stressful conditions. For passengers who trigger machine alarms or who are identified for searches, the security screener performs pat-downs or wand searches. Most transportation security screeners enter the field with a high school diploma or high school equivalency. On-the-job training brings them up to speed on procedures. Like most jobs in the security industry, a felony conviction may prohibit entering this field. Transportation Security Screeners by U.S. Department of Labor, Employment and Training Administration is licensed under a Creative Commons Attribution 4.0 International License.